We’ve had a lot of customers call and inquire about how the organic mattresses we sell pass flame retardant requirements with wool alone. Due to the influx of these questions we believe that there must be some incorrect literature available online that speaks negatively about wool’s flame retardant nature, more specifically that wool is not flame resistant and that mattresses containing only wool are unable to pass the flame test requirements. This is such an important issue that we wanted to write an article about the flame retardant properties of wool. We hope by writing this article we can give our customers the assurance that our organic mattresses are pure and that no flame retardant chemical or other synthetic flame retardant barriers are needed to meet the federal regulation. It is federal law that any mattresses sold in the USA pass the 16 CFR Part 1633 test. This requires all mattress manufacturers to flame test three mattresses at a legitimate fire laboratory. At the fire lab, a large flame is held on the mattress for a certain amount of time. After the flame is turned off, both the total amount of heat release and the peak heat release is measured. The amount of heat cannot exceed a certain number on any of the three mattresses in order for a mattress to pass. As I was beginning my research I spoke to the wool supplier, Wool Gatherer, which is one of the biggest producers of wool for mattresses, and the one that many of the mattress manufacturers we work with purchase their wool from. Wool Gatherer suggested the reason that there is incorrect literature about wool’s flame retardant abilities is that some mattresses can pass the 16 CFR 1633 requirements with wool alone and some cannot. There are actually many factors that contribute to whether or not a mattress passes or fails the stringent flame tests. These include the nature of the cotton ticking that surrounds the wool, whether the wool is a long or short staple, how tightly carded the wool is, and if there is a zipper on the mattress whether or not it can hold during the flame test. Given all these factors it is possible for a mattress to fail the flame retardant requirements and for that failure to be attributed to the properties of wool alone when in fact that was not the cause at all. I spoke with Bella Sera Organics about their flame tests to get a sense of how hard is was for them to pass the test with just the wool, cotton, and natural latex that their mattresses are made from. Their flame tests were conducted at Chilworth Pacific Fire Laboratories. After putting flame on the mattress the total heat release within the first ten minutes was an average of 3.45 MJ and the criteria for the 16CFR part 1633 standard requires a total heat release of less than 15 MJ. In addition their mattresses had a peak heat release rate of 35.53 MJ and the standard requires that it does not exceed 200 MJ during the test. As you can see from these numbers, the total heat release from their mattresses did not even come close to passing the limit. I’d also like to speak a bit about wool and about why it is naturally flame resistant. My reference is the May, 1988 issue of National Geographic, written by Nive Hyde which I purchased on Amazon for a few dollars. For those of you who are serious about your research this is an amazing article that discusses wool throughout time and different cultures. The article also discusses some on the innate properties of wool including its flame retardant nature. One property of wool that contributes to its flame retardant nature is that it absorbs moisture and can hold up to 30% of its weight in moisture (compared to cotton at 8%, or synthetics at 5%). It also contains keratin, which has a 100 degree higher flash point than wool alone, and that combined with the higher amounts of water means that it requires a much higher temperature to ignite. Wool burns slowly, smoldering and charring, and ultimately giving off less heat. The structure of wool also contributes to its flame retardant nature. The structure of wool is unique in that each fiber is covered with microscopic scales, such that the outside of each fiber looks a bit like a pinecone. These tiny scales are what allows wool to be carded, weaved, or felted. The scales rub against other scales and get caught into little tangles, which hold the wool together. According to Wool Gatherer, one thing that makes carded wool flame resistant is the fact that the fibers are so close together that they create an environment that is fairly devoid of oxygen thus resisting flame. An example of this idea, although one I have not personally tried and would not recommend, would be attempting to light a phonebook on fire. Apparently, it is not easy to light a phonebook on fire, as the pages are so tightly held together there is not enough oxygen present to support the flame. Individually each page could be set on fire quite easily, but as a complete unit it is much harder and takes much more energy to set a phonebook on fire. Similarly you can burn one strand of wool, but wool batting only smolders. 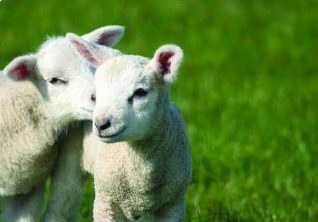 Wool is an amazing fiber with so many inherent qualities that can benefit humans. It is naturally flame resistant, however, mattress manufacturers do need to have the right formula with the right combination of wool and other components of their mattress to pass the flame test. All of the mattresses we sell have passed the flame retardant requirements naturally without any added flame retardant chemicals or synthetic barriers.